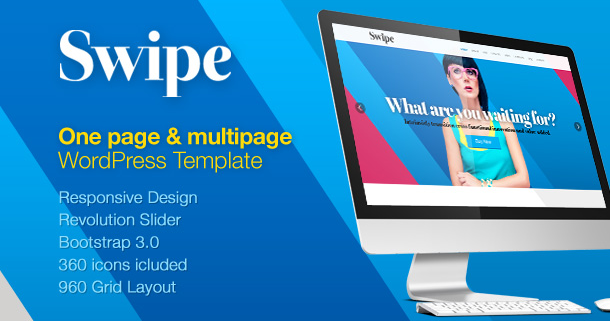 Swipe is a modern one page WordPress Theme created using Twitter Bootstrap 3.0 which is suitable for all kinds of business. Item Reviewed: Swipe Responsive One Page Theme 9 out of 10 based on 10 ratings. 9 user reviews.